veganmofo x2 | Go Fork Go! As this is my first year doing veganmofo, I was originally going to just throw up a whole bunch of random recipes and food reviews or whatever and call it a day. Then I started thinking, and we all know that’s dangerous. I’ve decided that my “theme” is going to be new things (that are vegan-related, of course) since veganmofo is new to me. So, new recipes I’ve tried, new cookbooks, new restaurants, new vegan foods, etc. And I’ll even try not to post things that I did prior to November, at least, not under the veganmofo heading. We’ll see how many new things there actually are in Waterloo. There is a veg/vegan restaurant near my work I’ve wanted to try for a bit so here I come! And while I’m here. Stuff I’ve made semi-recently. 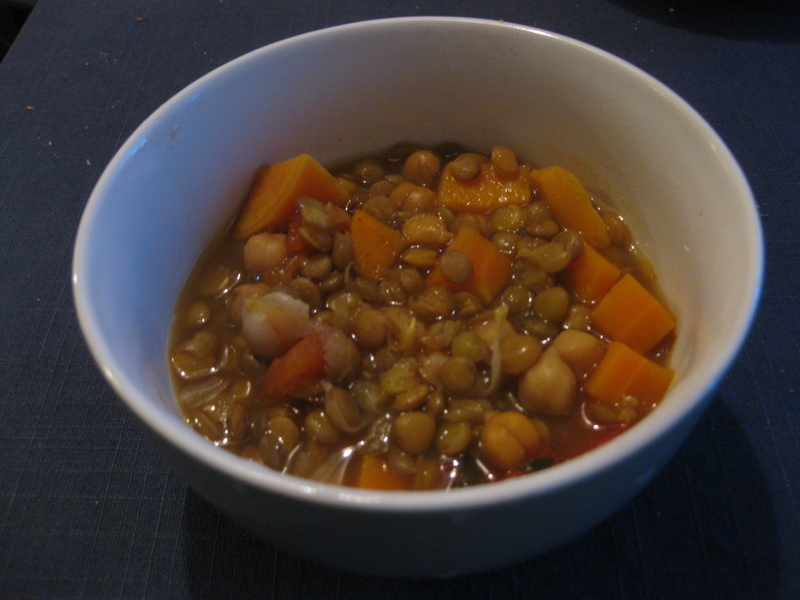 Lentil and sweet potato soup – It was a bastardized version of a recipe I found online and can’t seem to re-find at the moment. Sad, because it was delicious. I will post the link if I ever find it, with my changes to it. 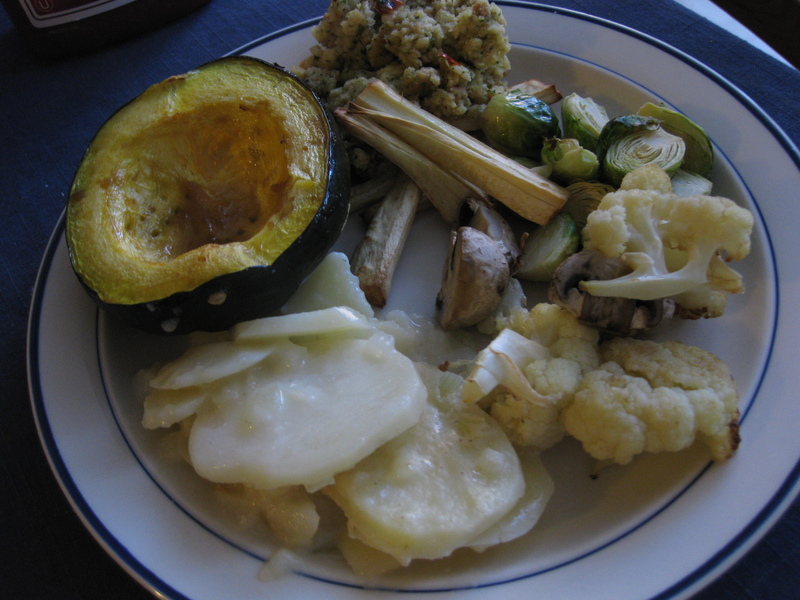 My thanksgiving dinner – scalloped potatoes, squash (I don’t remember which one it was, but I think it was the pepper squash), stuffing, roasted parsnips, broccoli, mushrooms and cauliflower.